If you need a backpack and you like Mario then you should check out this red Mario backpack. 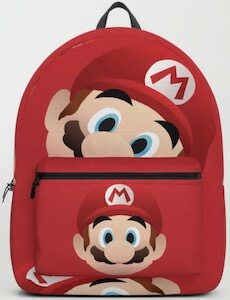 The backpack is red on the front with a big face of Mario on bag with a smaller version of his face on the front pocket. 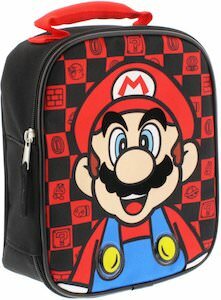 The Nintendo backpack is 17.75 x 12.25 x 5.75 inches and can hold a laptop up to 15 inches making this a great bag to have for school, work, and hanging out with your friends. Just adjust the black straps to fit your back perfectly and you are ready for a new adventure with your Super Mario friend so come and get your Red Mario Backpack. If your child loves Mario and other Nintendo characters and is getting ready for a trip then you have to check out this kids Super Mario suitcase. The suitcase is just the perfect size for your little one and measures 14 x 11.75 x 6 inches and has a retractable handle and wheels so that they can pull it around. 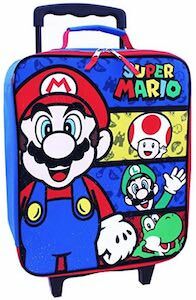 The Nintendo suitcase is blue with on the front you can find a big picture of Mario with next to it his name “Super Mario” and below that you can find Toad, Luigi, and Yoshi. So now your kid is ready for a trip and will love to pack its own Kids Super Mario Suitcase. If you like racing games then you know all about Mario kart and now you can own the most perfect Mario kart t-shirt. The t-shirt comes in black and navy blue and is available in styles for both men and women and comes in sizes Small – 6XL. 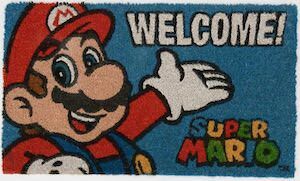 On the amazing t-shirt you can see an image of Mario and he seems to be driving his kart really fast as there seem to be lines in the background as he is driving really fast. Below Super Mario you find the text “Kart” and that makes this a Mario kart t-shirt because Mario and the text makes it a Mario kart t-shirt. 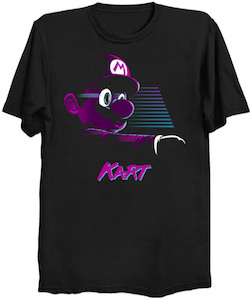 So if you want an amazing gaming t-shirt then come check out this Dark Mario Kart T-Shirt. We all need a fun Christmas sweater and now there is this Mario and Luigi ugly Christmas sweater. The unisex sweater is available in many sizes and will look stunning at both men and women at the holiday parties this year. 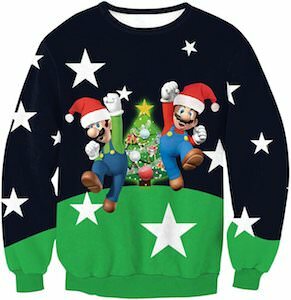 The Christmas sweater is green on the lower part and black above that and the colors are on the sleeves too and on it you can find big white stars and on the front you find a nice Christmas tree and in front of it you find Mario and Luigi and they are ready for Christmas as they are jumping of joy while wearing a Santa hat. Get redy for the holidays by ordering your Marion And Luigi Ugly Christmas sweater. 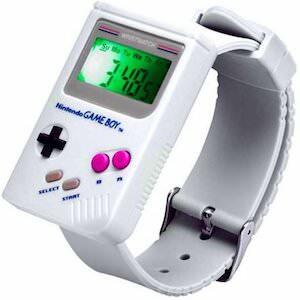 If you have a baby then you know it is going to need some teeth and when they are trying to come up that is going to hurt them but a nice teether can help with that and now there is a Game Boy teether. The Nintendo teether is made from 100% food grade silicone and is BPA, PVC, Vinyl, Phthalate, and Lead-free. The teether can go in the freezer to make it cool and that will soothe the gums of your baby. The teether will make your baby into a true gamer even before they really understand how screens work. 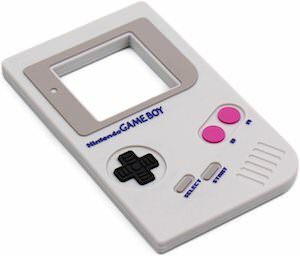 Come and surprise your baby with this cool Nintendo Game Boy Teether. If you like classic game consoles then you probably like the Game Boy and if you do then you should get this mug. The square mug is made from ceramic and on it you can see a Game Boy that is off but then you put hot coffee in it and it comes on and on the screen, you can see Mario rescuing the Princess. 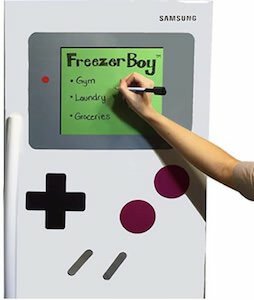 So now drinking hot tea, coffee, or hot chocolate will feel like you are playing on your Nintendo Game Boy just like when they were the hot thing to have. And because this is a heat changing mug you have to wash it by hand and you can not use it in the microwave. So get ready for a day of gaming while drinking lots of coffee from you Nintendo Gameboy Mug.